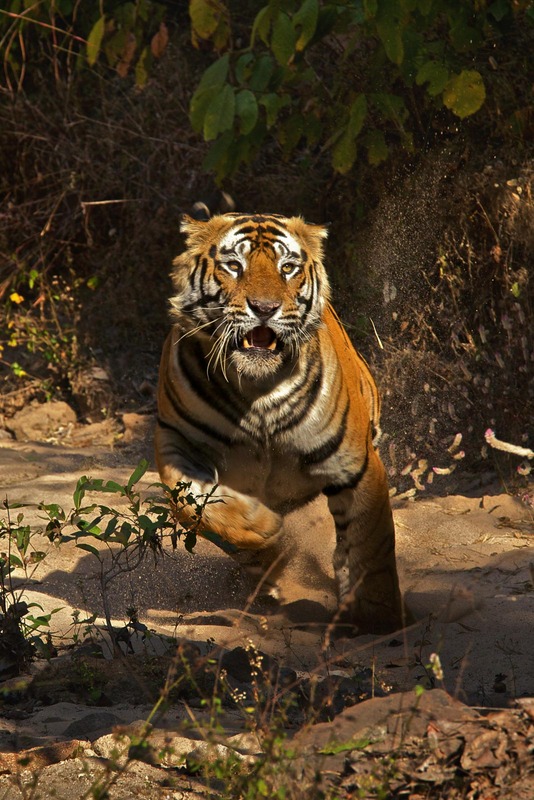 Take the chance to join world-renowned National Geographic photographer and big cat specialist Steve Winter on this unforgettable trip to some of India’s best national parks where you will experience and photograph its incredible wildlife with rhinos, elephants and the most ferocious of all big cats, the tiger. Journey to the diverse and colorful country of India in search of the majestic tiger and other wildlife with the guidance of award-winning wildlife photographer Steve Winter and Nat Geo Explorer, photographer and writer Sharon Guynup, author’s of Nat Geo Books, “Tigers Forever” During this trip, Steve will take you to some of India’s absolute best wildlife areas where he’s been on assignment for National Geographic and laid the foundation of his book “Tigers Forever”. 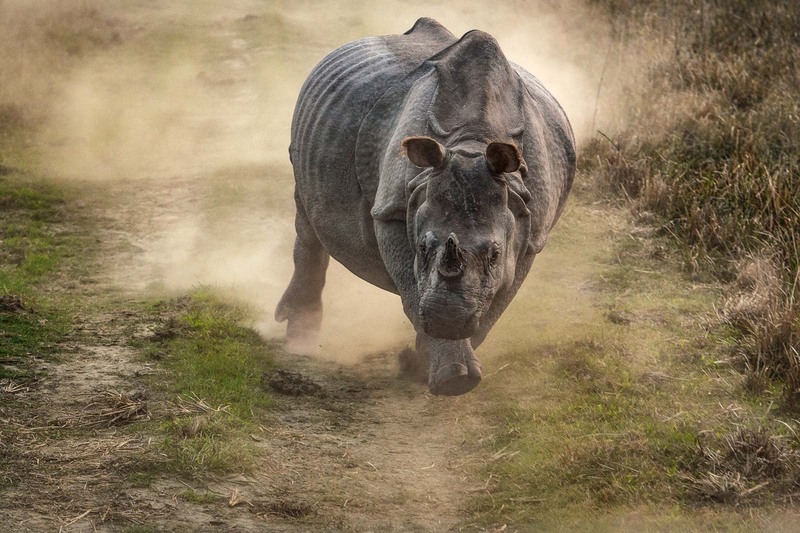 In Kaziranga national park you will be able to capture your encounters on camera with the endangered Indian rhino, as well as Asian elephants, and in the jungles of Bandhavgar you will face the elusive Bengal tiger. 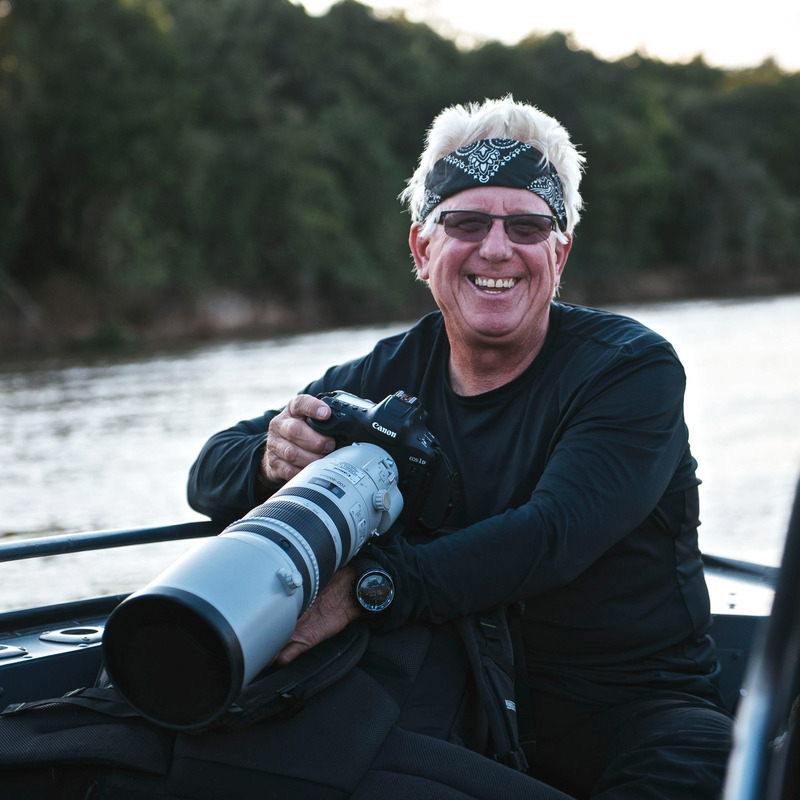 Throughout the trip, Steve will be there to help you develop your wildlife photography skills through personal advice, guidance, lectures and constructive image criticism. This is a great opportunity to step up your photography game together with one of National Geographic’s top photographers, right there in the field where he has captured some of his most iconic images. 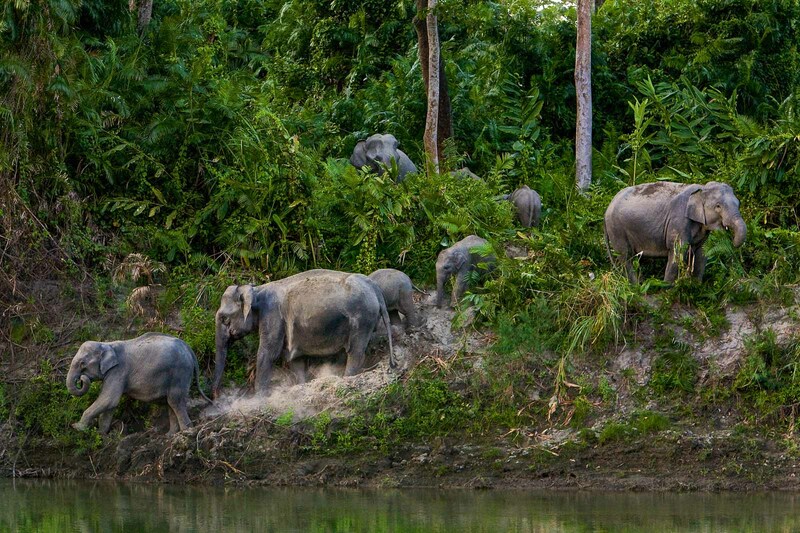 Discover Kaziranga’s wildlife with rhinos and elephants. 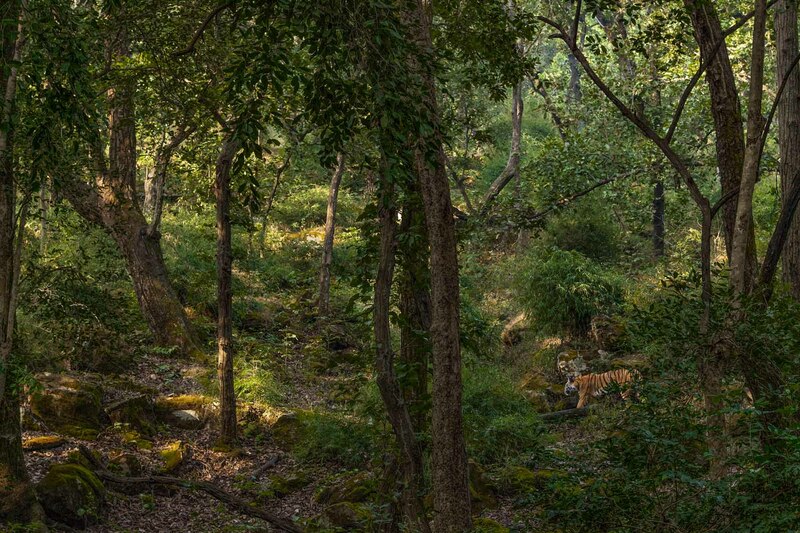 Photographing wild tigers in Bandhavgarh National Park. 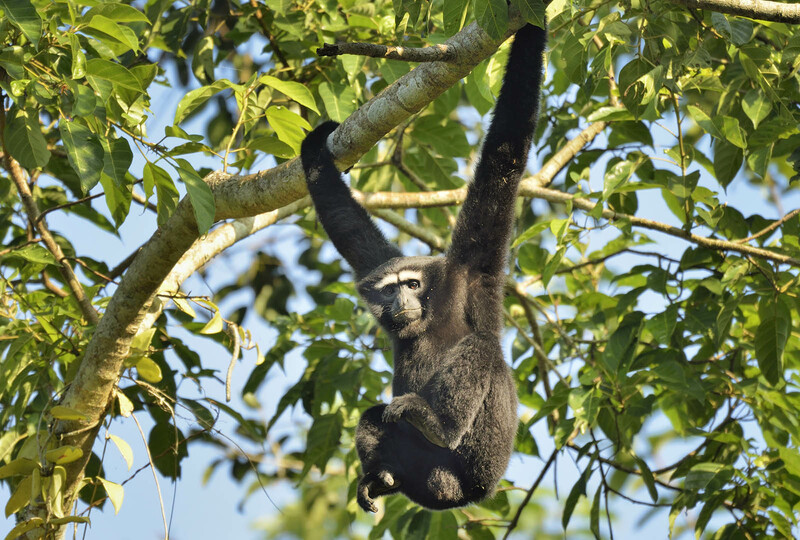 Visit the Gibbon Wildlife Sanctuary. Street and culture photography in both Delhi and Kolkata. Kaziranga National Park is located in the edge of the Eastern Himalayan biodiversity hotspots – Golaghat and Nagaon district. In 1985, the park was declared a World Heritage Site by UNESCO. 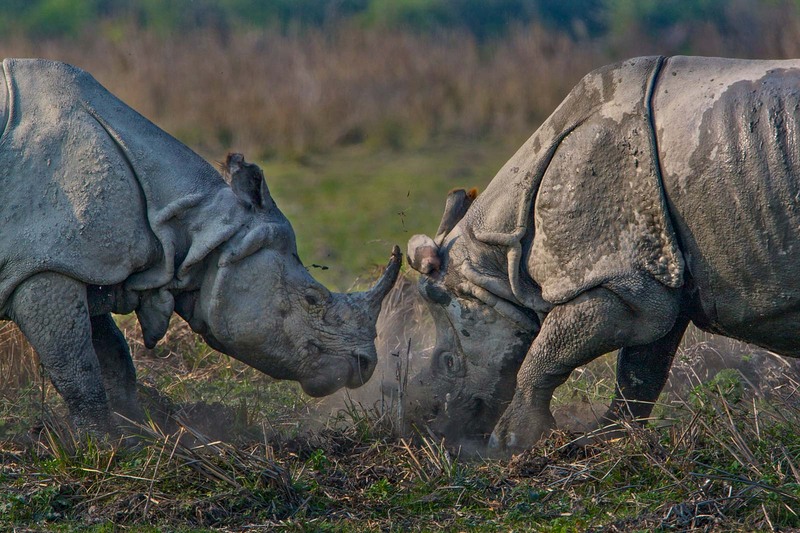 The park covers an area of 430 km2 and the forest region of Kaziranga Park is home to the world’s largest population of Indian rhinoceros. Other animals that can be seen in the elephant grass, marshland and dense tropical forests of Kaziranga are hoolock gibbon, tiger, leopard, Indian elephant, sloth bear, water buffalo, swamp deer, etc. With an increase in tiger population every year, the government authorities declared Kaziranga as a tiger reserve in 2006. 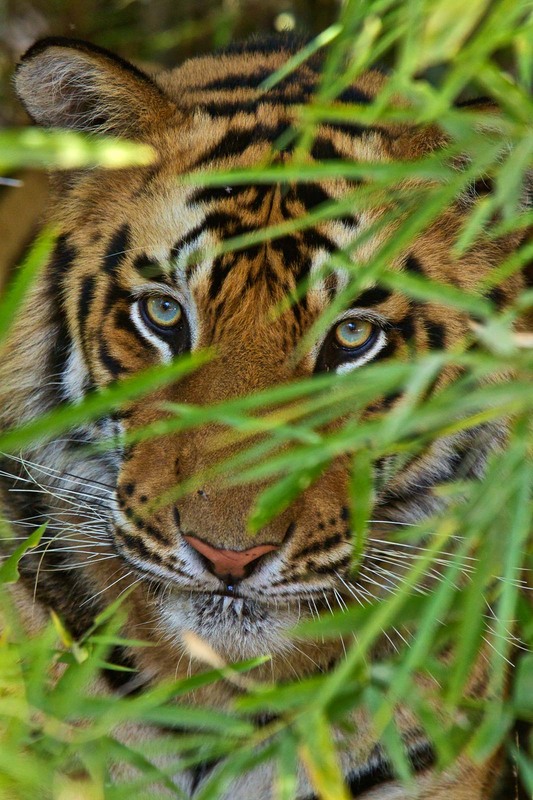 It has the highest density of tigers found anywhere in the world. But you still have to be lucky to see them! 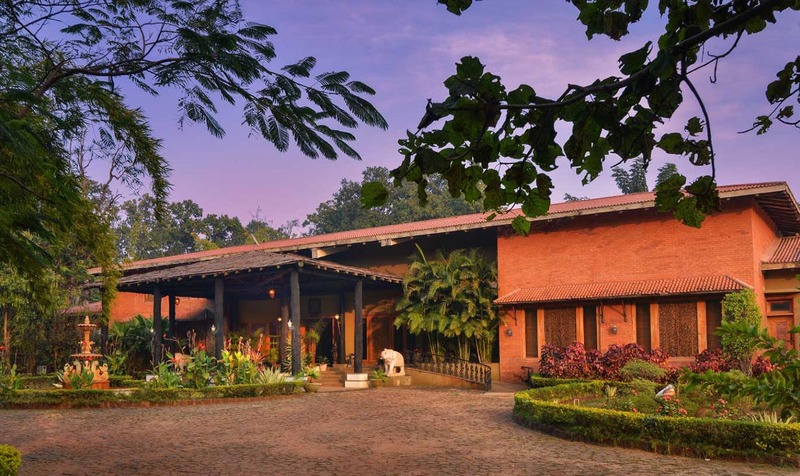 Bandhavgarh National Park, one of the most well-known national parks in India, is located in the Vindhya Hills of the Umaria district in Madhya Pradesh. 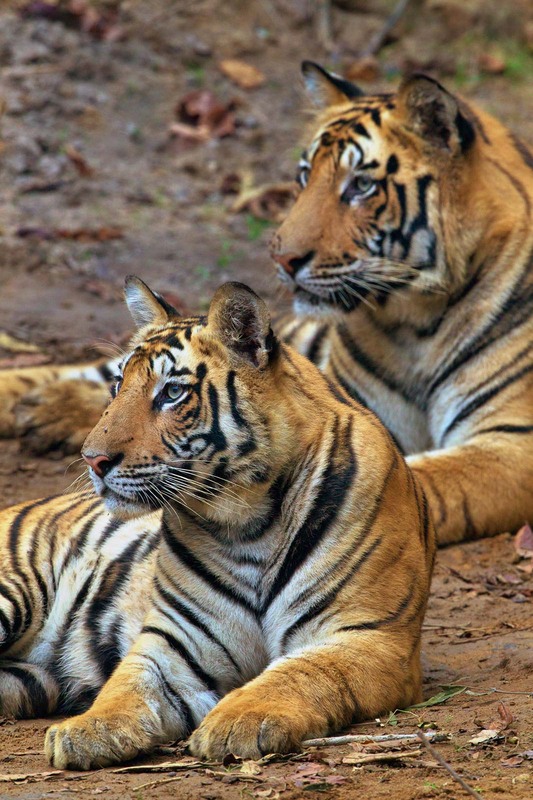 Declared as a national park in 1968, the Bandhavgarh National Park is spread across the area of 105 square kilometers. 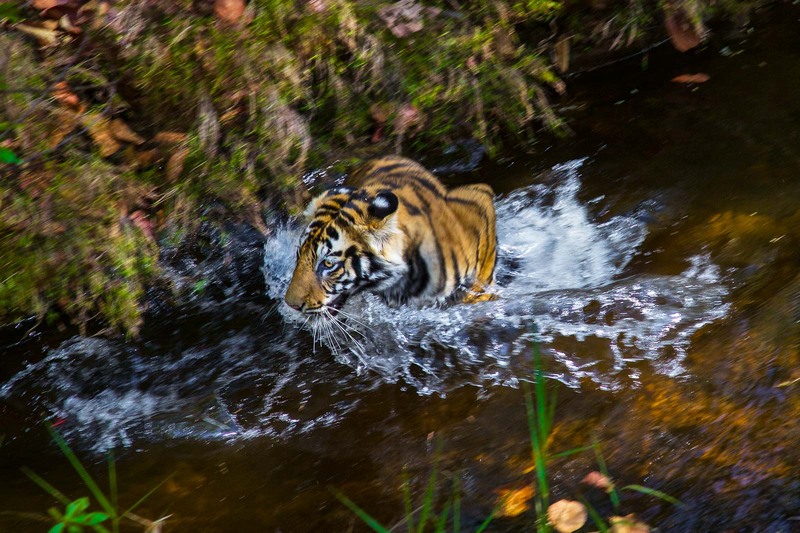 Due to varied topography, the Bandhavgarh National Park provides ample opportunity to spot the majestic Indian tiger and some rarely seen animals like leopard and sloth bear. Other wildlife in the park includes the Asiatic jackal, Bengal fox, gray mongoose, striped hyena and jungle cat. The artiodactyls frequently sighted are wild pigs, spotted deer, sambar deer, chausingha, nilgai, chinkara and gaur. There are also more than 250 species of birds in the park. During our first morning we head straight out on the pulsating and crowded streets of Kolkata to capture the vibrant culture India has to offer. Indians are normally very open to photographs, so most of the times they will happily give you the shot. So, the odds of creating great images are always in your favour here. The former capital of British India is a city that mixes the old world with the new in a chaotic combination making it a perfect destination for photography. 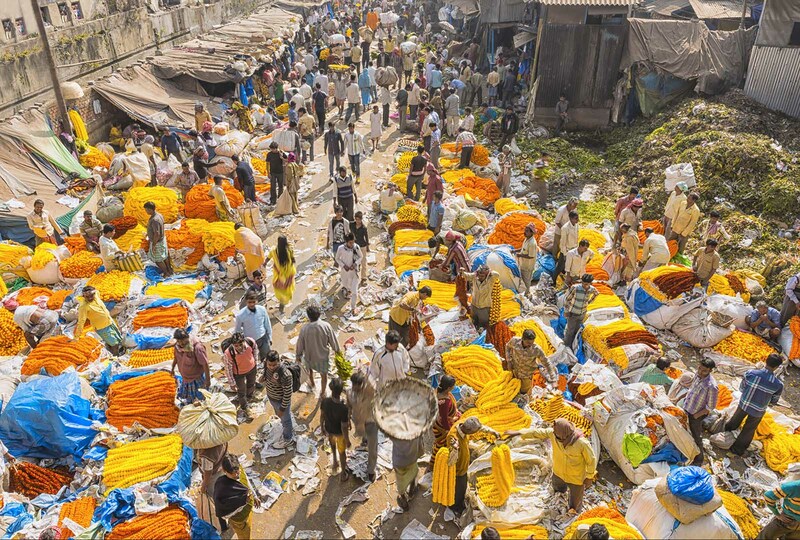 During the tour you get to capture the soul of the city as you visit some of Kolkata’s most diverse markets, streets and structures that will offer you sights, smells and experiences you would never have imagined before. Lunch will be served at a nice local restaurant where we can enjoy the many flavors India has to offer. 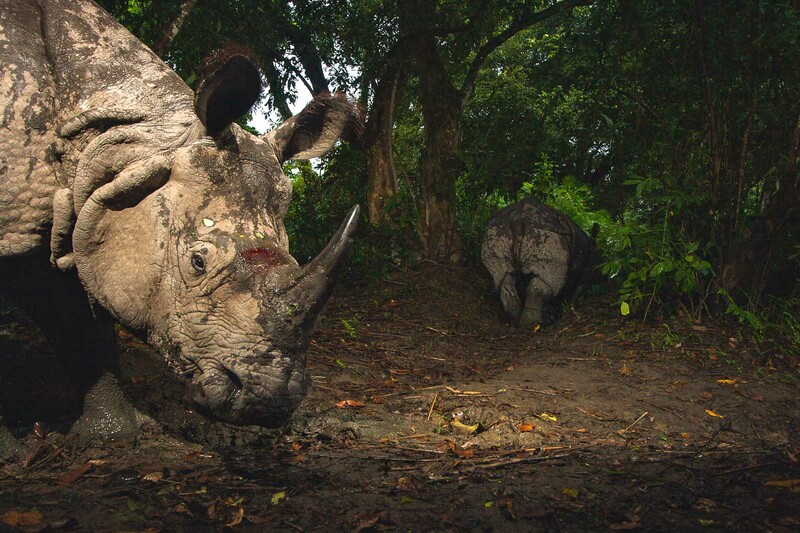 During two full days, we explore Kaziranga National Park together with Steve who will show us some of his favorite areas that provide the best photographic opportunities of the park’s wildlife. 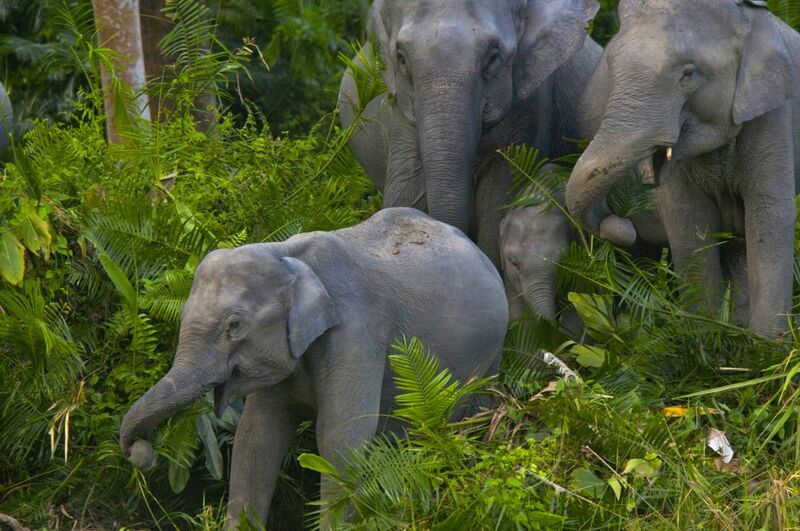 In the fresh morning air, we are met by a cavalcade of smells and sounds as we drive down the narrow roads lined with tall elephant grass on each side. Suddenly the view opens up in front of us and we can see a vast grassland dotted with elephants basking in the soft morning light. Further down by a small waterhole we can spot a couple of rhinos enjoying a morning drink as we frame them in our viewfinders to capture this wonderful encounter. As the sun is rising over the jungle we drive in through the gates of Bandhavgarh National Park, India’s most tiger dense area. 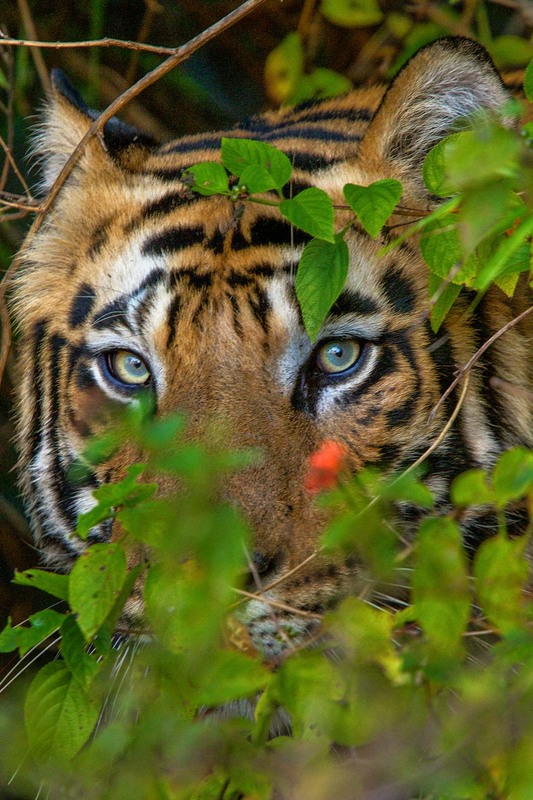 Together with Steve and our knowledgeable drivers, we keep our eyes open to spot fresh paw prints on the road and other tracks that can bring us closer to our first meeting with Bandhavgarh’s elusive tigers. Great photo opportunities can show up when we least expect it and maybe we stop to capture a flock of monkeys that jump from branch to branch so the foliage shakes above our heads. Suddenly we are interrupted by a warning call that echoes through the jungle. We start the jeep and follow the loud calls that quickly moves between the trees. 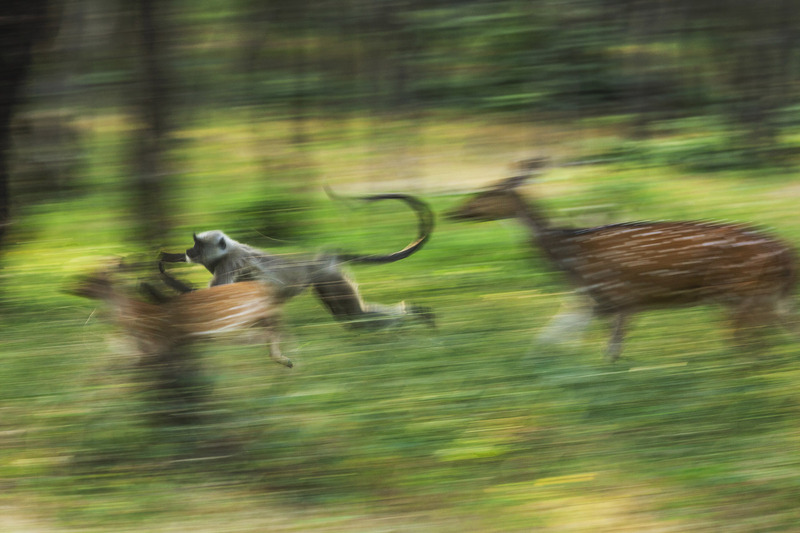 The warning call come from a sambar deer and are very likely to mean that a tiger is moving in the surroundings. We stop our jeep and quietly wait with excitement. 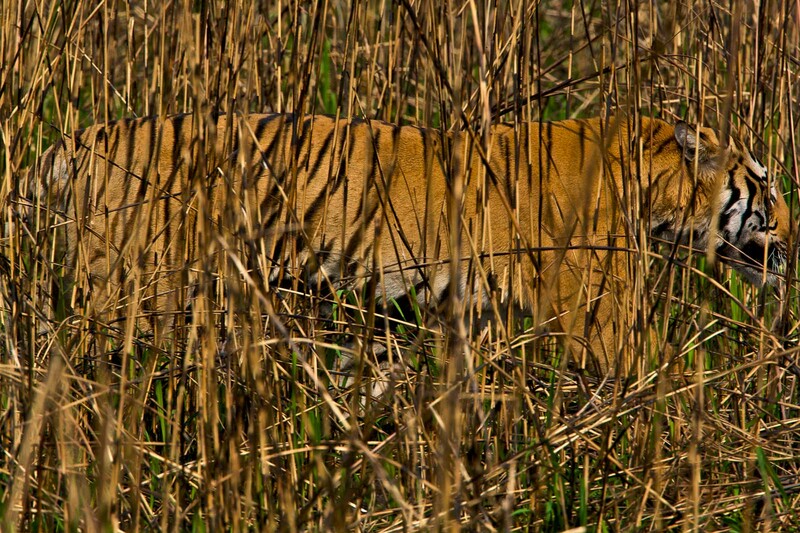 After just a few minutes, as from nowhere, a majestic tiger steps out on the road in front of us. He turns his head and slowly begins to walk straight towards us as we capture some incredible photos and experience a wildlife encounter we will never forget. In the afternoon we head out on the second safari of the day and together we do not only develop our photography skills, but also our knowledge about the many ecosystems we are in. When we drive through the parks hillier terrain, we look up towards the cliffs to see if the mysterious leopard might make an appearance before the golden evening light slowly fades away over the jungle. As the sun is setting behind the tree line we leave the park and return to our lodge where a great dinner awaits as well as image editing, photo talks and analysis of the images taken throughout the day. Sharon Guynup is a journalist, author, photographer and National Geographic Explorer who writes and speaks on environmental issues. 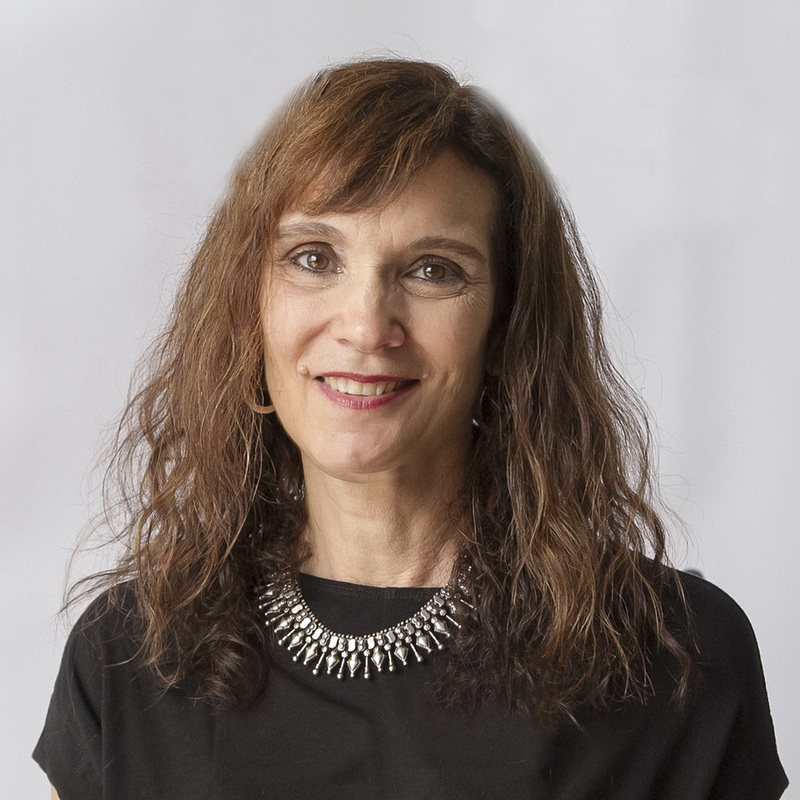 She’s traveled widely through Asia, Latin America and Africa to cover wildlife and ecosystems, energy and climate change and pollution and its effect on living things. For the last few years, much of her work has delved into poaching and “wildlife crime”—the lucrative, global cartel-driven illegal wildlife trade. 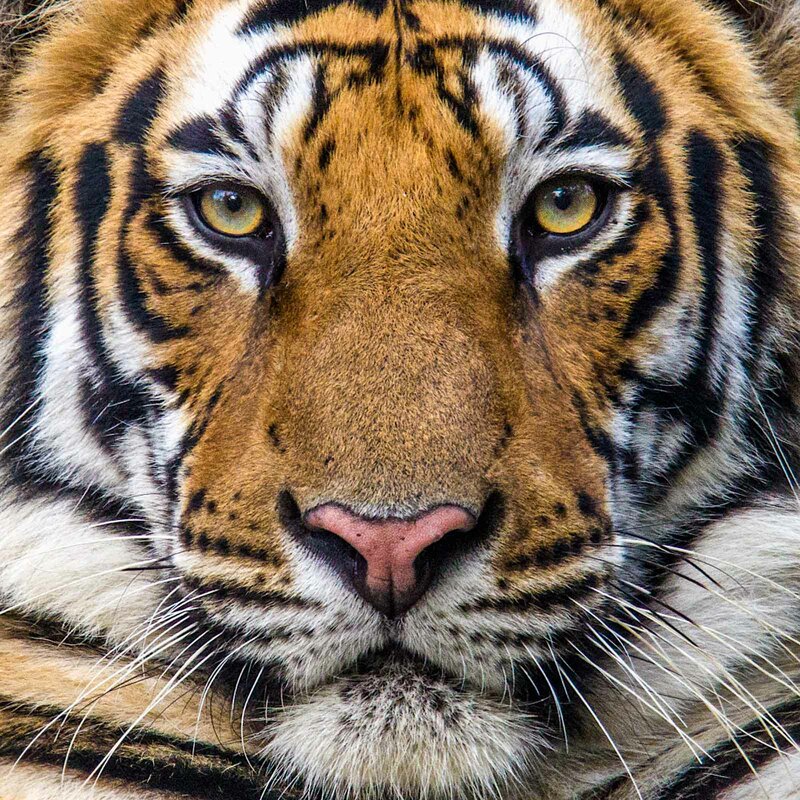 Her 2016 investigation into the famed Thai Tiger Temple for National Geographic published strong allegations of illegal wildlife trade stretching back a decade, causing Thai officials to confiscate all 147 tigers and shut the operation down. Sharon began her career as a photographer, working for a wide range of newspapers and magazines. Personal tutoring & workshops by Steve Winter during the trip. International flights to Kolkata and home from Delhi. International airfare to Kolkata and home from Delhi is not included in the price. 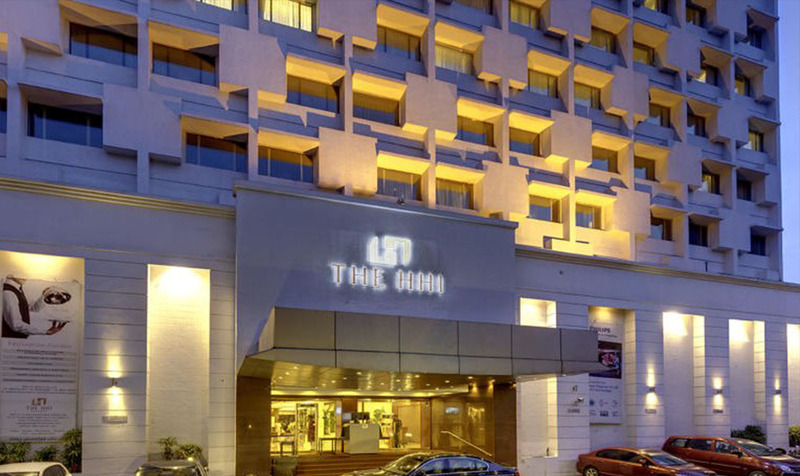 You should arrive Kolkata during the afternoon / evening of November 24 and depart home from Delhi on December 4 not earlier than 10 PM. If you wish, we are more than happy to help you arrange your flights. Just send an email to info@zoomphototours.com and we will respond with flight suggestions and prices. In order for you to get personal photo guidance and the best experience with our photographer, our groups are always small. 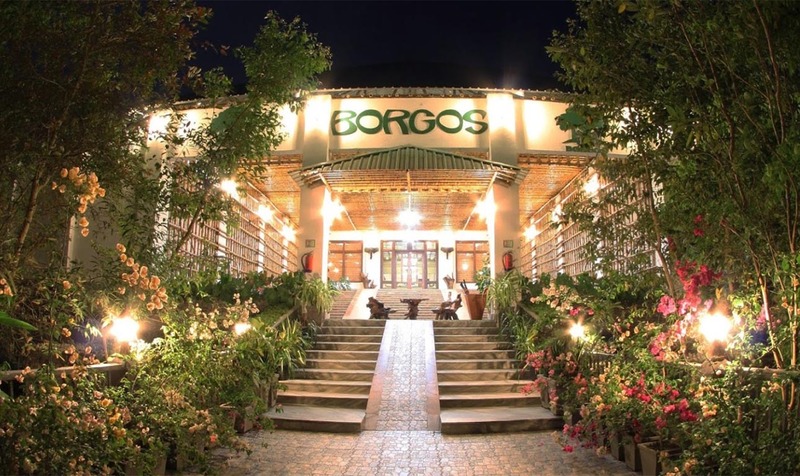 On this tour the minimum and maximum number of guests are 8 / 12. Apart from an award-winning photographer, our tours are always accompanied by a tour leader from Zoom with good photo knowledge. Our tour leader will handle all logistics and general matters, making sure you are having the best possible experience during your journey. If you want to book this tour you can either give us a call, send an e-mail or use our on-line booking form and you will receive a booking confirmation right away.